Brussels is moving to regulate small drones amid a huge increase in sightings of them flying near airplanes in Europe. The European Aviation Safety Agency’s (EASA) proposals include allowing EU countries to define zones where drones are banned from flying. 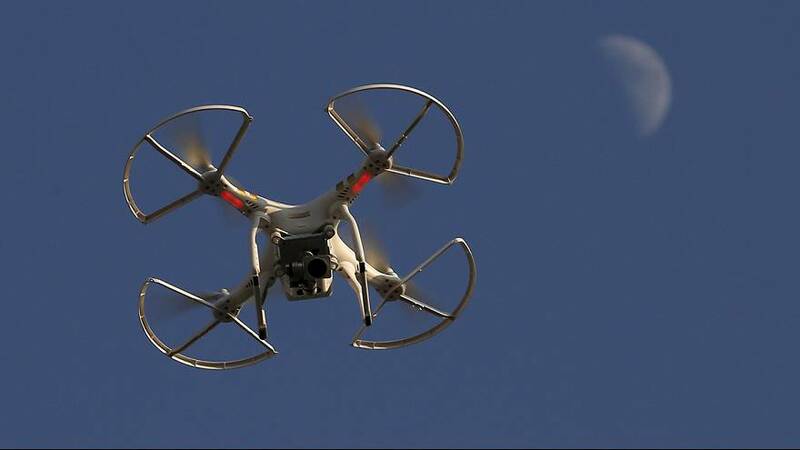 The drones would then be fitted with geo-fencing technology to stop them entering prohibited areas like airports or nuclear sites. The plans also include moves to make the drones remotely identifiable and inserting a “do’s and don’ts” leaflet into retail packaging. Drone sightings in the EU have soared – rising from around 600 in 2015 to more than 1,200 last year. But just 38 of more than 2,000 incidents over the last six years were classified as accidents, none of which killed anyone, according to EASA. Nevertheless the European Cockpit Association is among voices calling for action to “preserve the high level of safety in European airspace”. EASA said in a report last year if a medium or large drone hit the main body of a large aeroplane, especially at high altitude, it would result in disaster. It said in a press statement this week EU-wide regulation is required because “a number of key safeguards are not being addressed” by national laws. Andrew Charlton, executive director of Drone Alliance Europe, told Euronews: “We most certainly support that EASA is taking control of this, and we most certainly support the approach they are taking. “We are working with EASA on the other areas as well and appreciate the support they are giving this area of rule-making. “They’re a good start and it’s very rare that rules are perfect at the start. “The reality is the market is continuing to buy drones and we cannot turn back the tide. There is a consultation on EASA’s proposals open until August 12. The plans will then be submitted to the European Commission by the end of the year. Regulators have moved as drones have become more and more popular. Consumer drone sales are expected to increase tenfold by the end of the decade, according to a report by Tractica. There were 6.4 million devices shipped in 2015 and this is forecast to increase to 67.9 million drones-a-year by 2021. They could also be used more commercially – online giant Amazon wants to use small drones to deliver items to customers.